Situated in the calm tranquillity of the natural reserve near Vila do Bispo in the South West Algarve is a small haven for abandoned and rescued dogs. Sheltering up to 120 dogs at any one time, in private woodland is a small charity called Mayday. Karen Breen and her husband opened up their home, created the shelter and started taking in dogs in 2010 from the streets, fields and a local municipal kennel to keep them safe. Ruth Boswell joined them permanently in 2015 and is also living on site. The two ladies work looking after the animals all day every day. 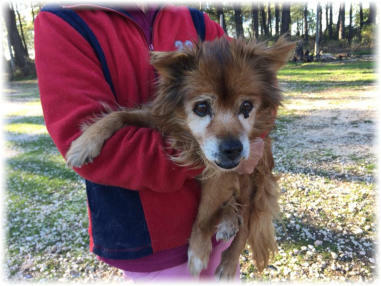 Inside their house they care for up to 20 old and sick dogs whom, for various reasons, are unable to live outside. In 2016 Karen decided to set up a charity to help the animals in their care and this became legal in March 2018. 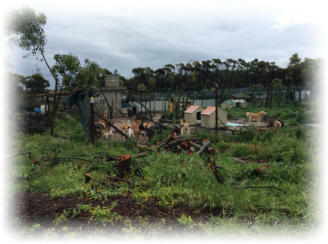 In the sanctuary, all the dogs live in large spaces with other dogs where they are free to run and play. They all have warm and comfortable houses under shelters to protect them from the bad weather and to give them shade from the sun. Although the dogs all have happy lives, Karen works hard to find good homes for as many as possible, not only in Portugal but also in the UK, Germany and Holland where they can become part of a family, loved and well cared for. Last year they found loving homes for over 100 dogs. 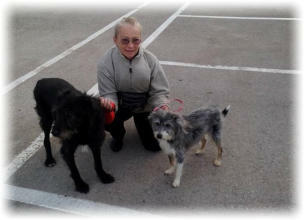 They also help get dogs and cats neutered, arranging for them to be trapped if necessary and taken to a local vet. 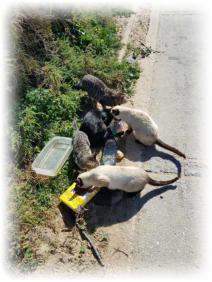 Sometimes sick cats are temporarily sheltered, well away from the dogs in a safe house, until they are either better and reintroduced to their colony or rehomed. 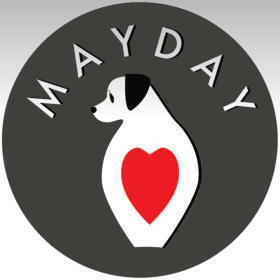 If you would like to donate to help the Mayday animals you can pay by PayPal. Please use the friend and family option so we get 100% of your donation. Donations can also be sent directly into their bank account, please send a PM for further details. 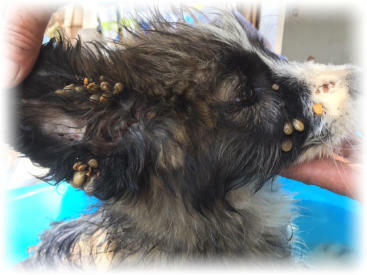 Alternatively, you can sponsor a dog for 10€ a month by either payment method above, w hich helps pay for flea and tick prevention, worming, medical bills and food .